Welcome to Charter Landing! Emerald Coast by Owner is proud to be your premiere vacation rental service for this general area. All of our condominiums throughout this area are equipped with luxury, elegance and comfort to satisfy your every vacation need. There is a wide variety of things to do here, and you don’t want to miss them! The public pool is always a relaxing scene where you can soak in the sun and hangout. If you want you can take a short trip to the beach and enjoy the sand and sky blue water, where plenty more attractions will be offered to you. Some of the most popular attractions include parasailing, deep sea fishing, paddle boarding, boat tourism and much more! After all the fun is done you can be sure to enjoy a meal at Cotton’s Restaurant. This delicious surf n’ turf eatery provides you with great food, an awesome view of the coast, and excellent service. You don’t want to miss a meal here! 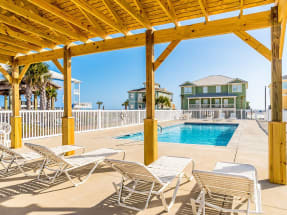 Browse Emerald Coast by Owner today and view our hundreds of vacation rentals along Orange Beach. Click here now for Charter Landing vacation rentals!